I love challenges. They motivate me to give 500% of myself. They keep me constantly excited. I wish one day by taking more and more challenges I will be able to do something impossible or extraordinary. One of the challenges I took was to prepare Keynote speech for beginners in the field of testing. The topic of the presentation was “Tester in charge – Judge, Jury & Executioner” so I thought to myself – maybe I should dress accordingly? 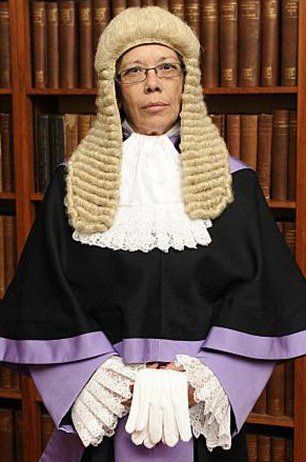 Wigs are either extremely expensive (£400 – £2000) or badly made (for Halloween parties or something). Robes are near to impossible to buy. I do not know much about Judiciary of England and Wales. For the first challenge, I thought about making the wig myself from gray worsted. As for the second challenge, I was thinking about asking a dressmaker to make me one of the robes – I was just a bit worried it will cost a lot and still not be made on time for the conference. But it was the last challenge that made me drop this idea. 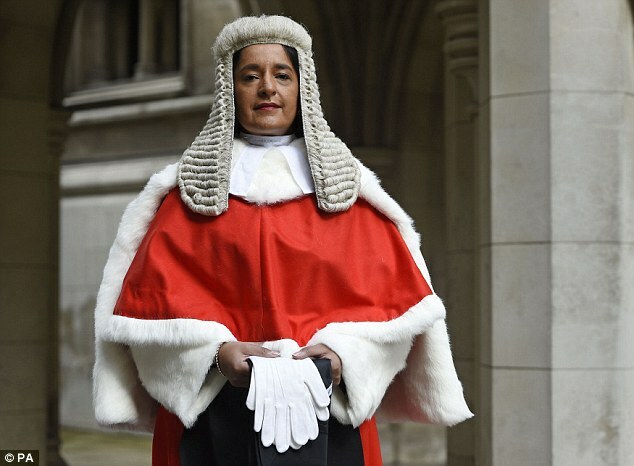 Without the knowledge about the judiciary system in the UK, I was not comfortable with wearing one of their judges’ robes. The first step was rather easy: buying the robe in the online store for lawyers. So one week later I was ready to roll! Even though the robe was amazing I was still not satisfied. I decided I must have a chain with an eagle as well. 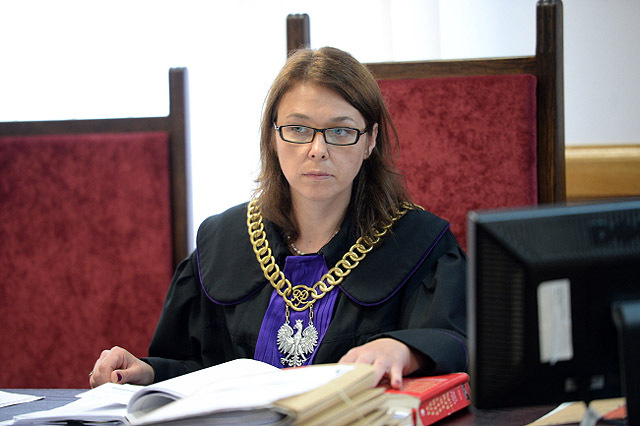 Here you must know that in Poland chains are made specifically for judges and it is impossible (and I am afraid also illegal) to order one. I did what I always do when I’m stuck – I turned for help to my friend. I asked Aneta what she thinks about creating the chain from… worbla. It is a thermoplastic material used by cosplayers and she made amazing horns from this material. She provided me with an online store and inspiration movies. One of them convinced me I should do it. This way I ordered a piece of worbla and a heat gun. Printed reference picture of our Polish eagle in the crown helped me with drawing it on worbla. After that, I cut two pieces of the eagle. I wanted it to be thicker for making deep cuts. I was surprised that cutting circles for the chain were much more demanding than cutting the eagle. Not I hate circles! After everything was prepared I decided to use the heat gun. 400 °C of air made my pieces soft and ready for carving. It was like going back in time to childhood and playing with plasticine. When worbla cooled down the eagle was solid. For this beautiful piece, I paid the price in the blood due to touching the heat gun with my hand. But it was worth it! The chain was more tricky. During heating, they tend to glue together. So I needed to heat and form them one by one. Here my beloved insulation tape was a huge help keeping the circles in place during heating. This way my chain was ready in the total of 2 hours of work – including cutting time. Yes, it was that fast! My last task was to bring some colors to the chain. One trip to shop for artists provided me with gold and silver gilding paste. This part was so fun! You simply take gilding paste into your hands and rub into whatever you want to have gold or silver. This way I was able to say I had hands of gold! Preparations were over, everything dried out and I was ready to roll! My destination – Serbia and Belgrade Test Conference.